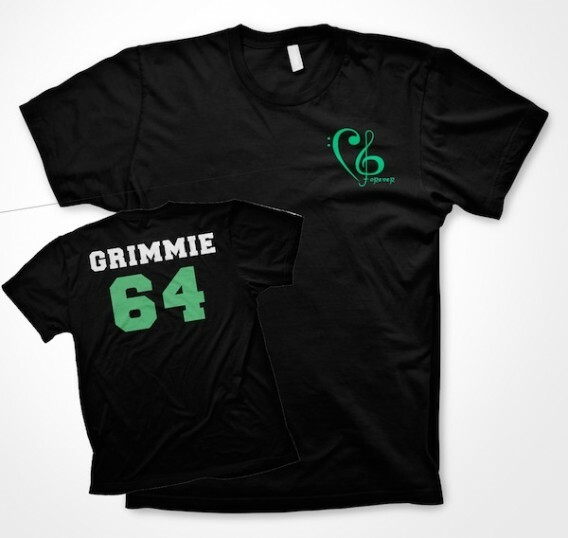 Christina's favorite color was green and we celebrate her with this Official Grimmie Forever/Team Grimmie shirt. Team number 64 to remember zeldalove64, Christina's favorite game, Legend of Zelda played on Nintendo64. Shirt printed on Bella+Canvas Heather Black Tees.